High initial grab of 320kg/10cm2. Interior and exterior use on all common substrates, including porous natural stone, non porous, wet and humid surfaces and even underwater. Anti-mould properties, paintable and odourless, high UV stability, weather and waterproof. 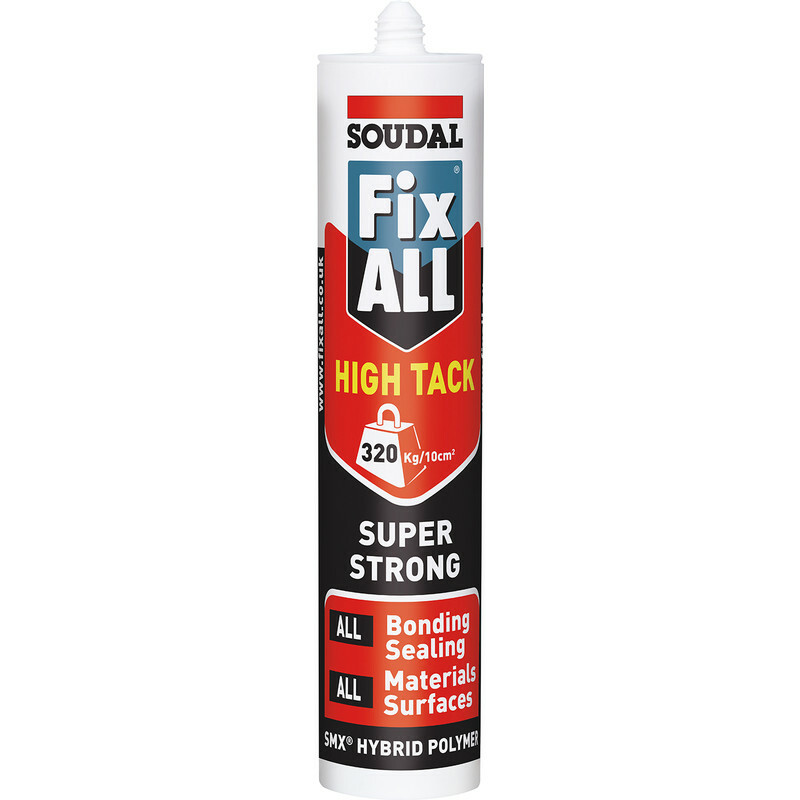 Soudal Fix All High Tack Polymer Adhesive & Sealant 290ml White is rated 4.7 out of 5 by 3. Rated 5 out of 5 by DaleyB from very sticky! very sticky, very durable, i use it outside and overpaint it and no problems so far. Rated 4 out of 5 by Meadow 1 from Fixes All !! Bought this to fix the frame work of an island unit to a concrete floor as I did not want to drill into the floor in case I breached the damp membrane. It worked well, grabbed and absolutely no odour. I am very happy with the final result. The missing star is that I found it hard to squeeze out of the sealant gun, a good quality gun but perhaps I am getting weaker!